Baylor School of Education Campus-Based Family Services is a contract-funded initiative to improve behavioral management in a local school district through direct intervention and teacher training. The three-year (2016-2019) grant of $348,967, funded by Waco ISD, provides for a behavioral management team of five faculty members and four graduate students. The project was approved in August 2016 by a unanimous vote of the Waco ISD Board. The project initially focuses on one elementary school in the district, chosen through an application process by the campuses. Co-principal investigator Padilla-Mainor said that the research group will develop a model campus so that the program can be implemented on other campuses. 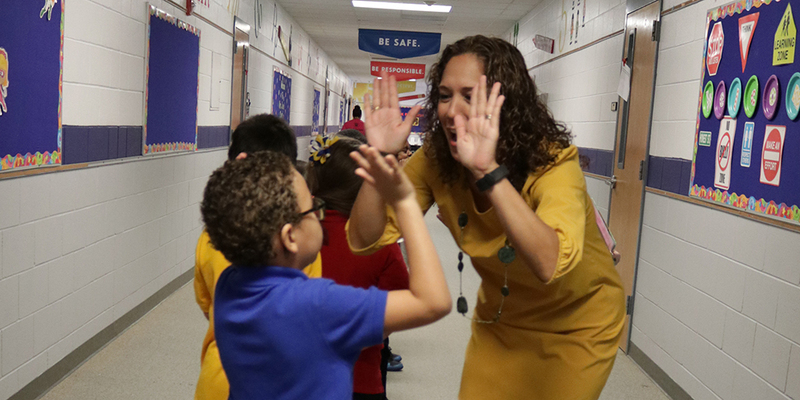 SOE faculty and graduate students are training teachers in effective behavior management techniques and also providing direct interactions with children with intensive behavior challenges. Baylor personnel will also structure the RESET classroom for optimal effectiveness and train a core behavior support team of teachers who will become the campus behavior experts.